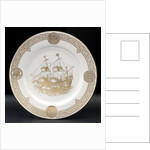 White bone china plate with gilt decoration. 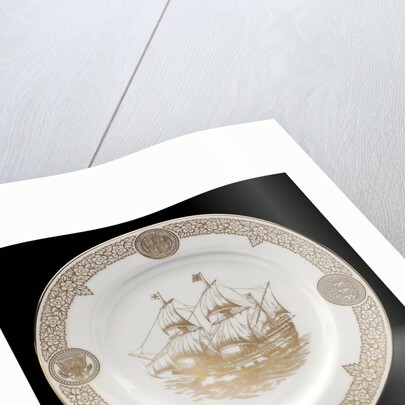 It is printed with a port broadside view of the ship 'Mayflower' in the centre and has a border of may flowers set with four seals. At the top, the first seal of Plymouth colony; at the bottom, the seal of the City of Plymouth; on the left the great seal of America and on the right the three lions of England. 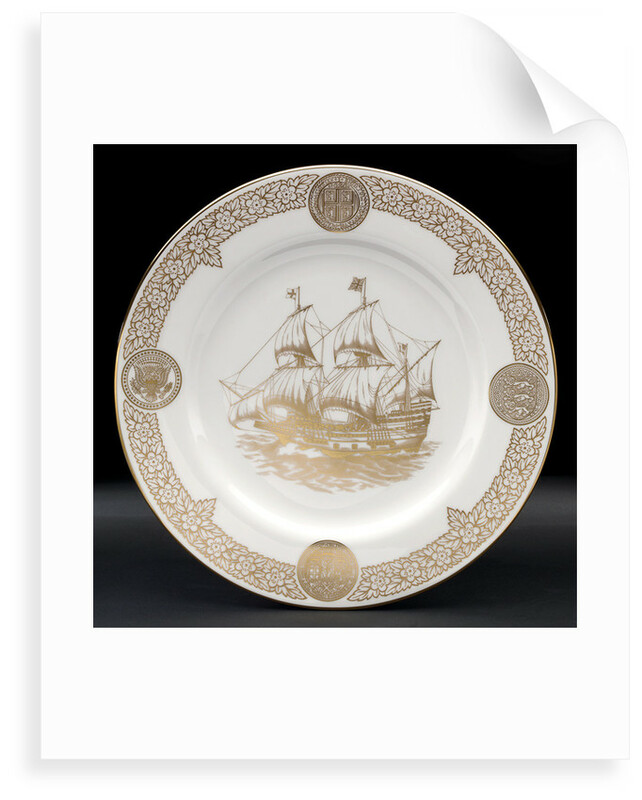 On the back in gilt letters: 'The Mayflower Plate 1620-1970. 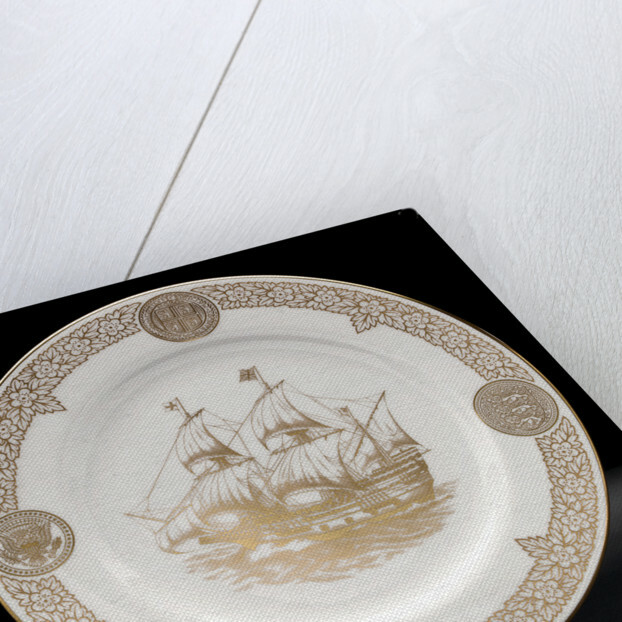 With the approval of the Lord Mayor of Plymouth and by order of the owners of Sutton harbour whence the Mayflower set sail on 6th September 1620, this plate has been produced in a limited edition of two thousand five hundred of which this is number 373.' 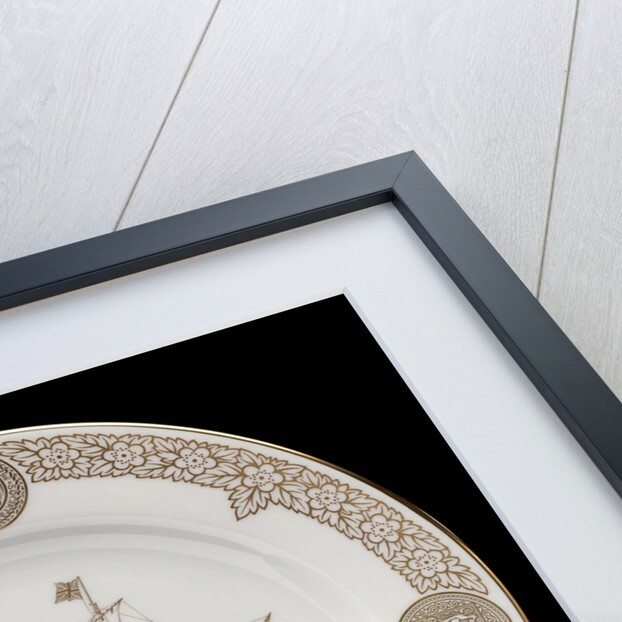 The plate is in a blue, silk lined box. More by the artist Josiah Spode.